Neon Infotech - Thailand: CADWorxR DraftProT launch! 100% free software! CADWorxR DraftProT launch! 100% free software! Intelligent 2D layouts, sections, elevations, and more. 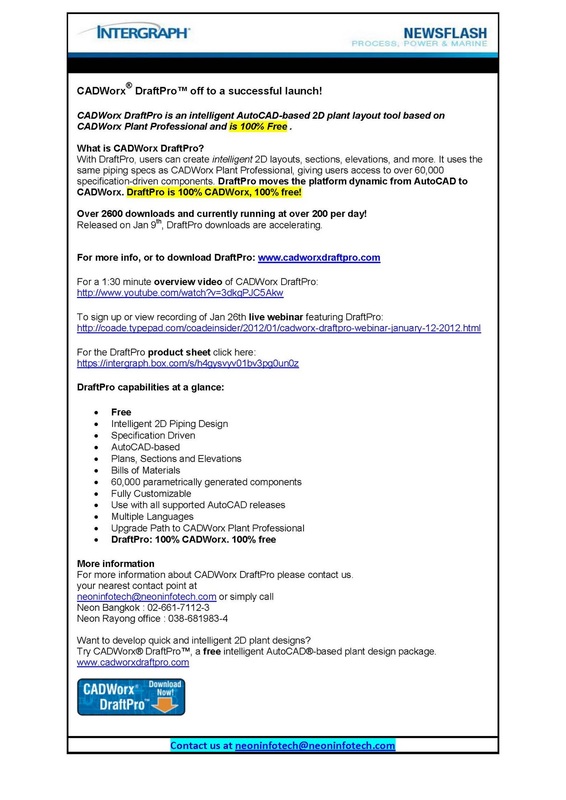 It uses the same piping specs as CADWorx Plant Professional, giving users access to over 60,000 specification-driven components. 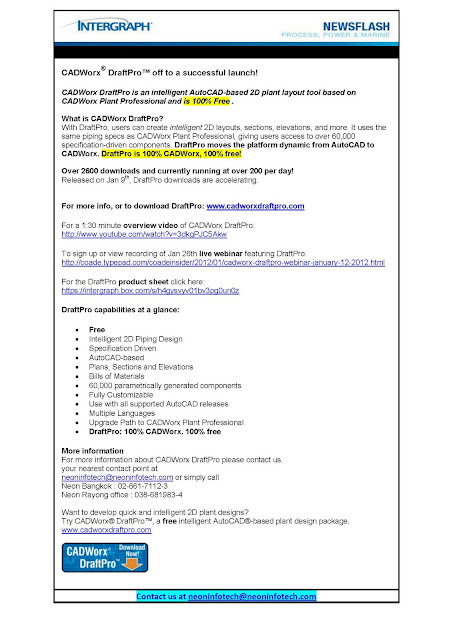 DraftPro moves the platform dynamic from AutoCAD to CADWorx.Various benefits of CADWorx DraftPro software and its quick and easy abilities of set up and use, so you can start designing right away.